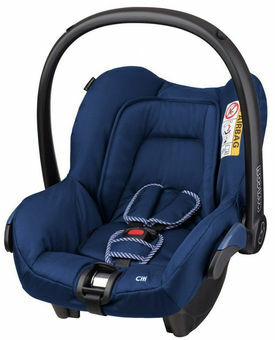 The lightweight Maxi-Cosi Citi SPS is a baby car seat suitable from birth to 13kg (approx. 12 months) and can be combined with Maxi-Cosi and Quinny pushchairs to form a stylish and practical travel system. 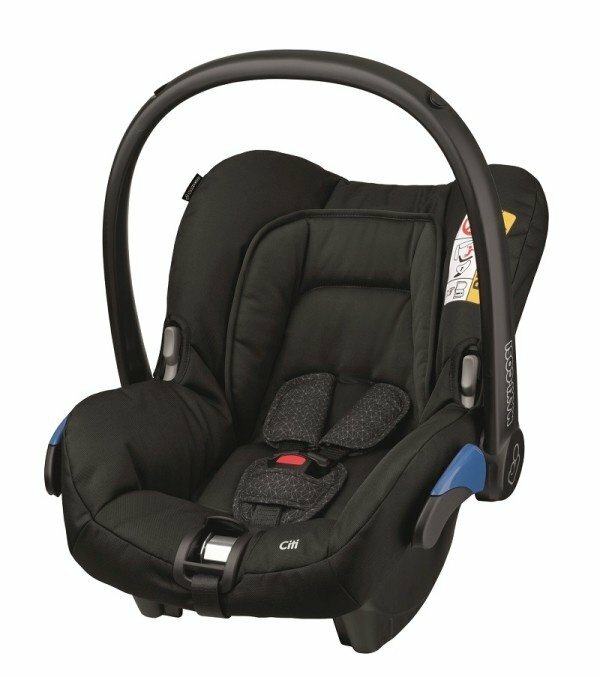 The Maxi-Cosi Citi SPS should always be installed in your car in a rearward-facing position using the vehicle's own seat belt. It features a one-pull harness adjustment to ensure its correct tension and offers your baby extra protection against side impact collisions. This car seat has been designed with your little one's comfort in mind and comes complete with a Sun Canopy, Head Support, Support Pillow, Belt Pads and Crotchpad. It also features an extra comfortable Ergonomic Carrying Handle to make it easier for you to lift and move.